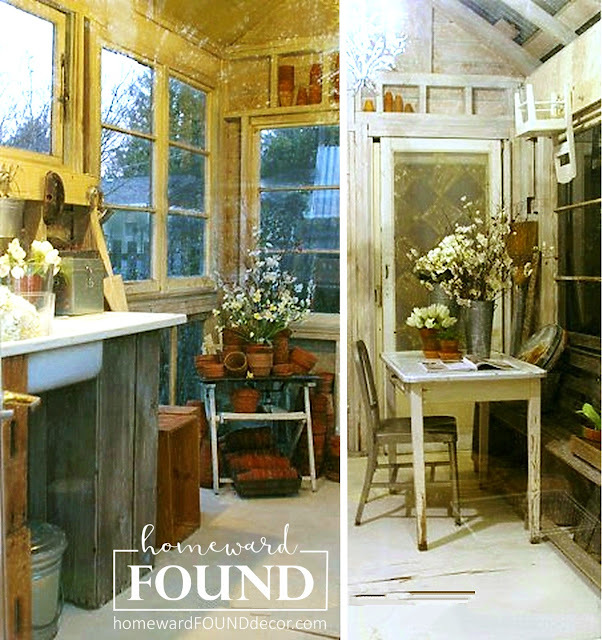 Remember my Garden House Makeover Project? The photo above is what it looked like after my whirlwind two-day flurry of activity. 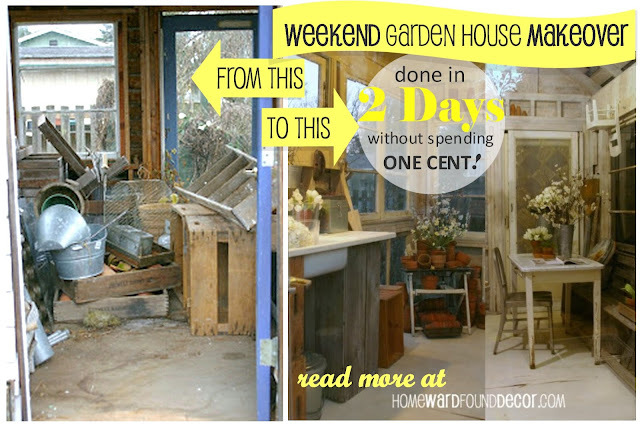 See the entire transformation - that took place in one weekend - here. and yes, that's the same garden house! You see, Todd built that garden house many years ago. He owns the house and the yard that it sits in. after life collapsed and I had to leave my dream farmhouse & life on an island. Todd allowed me to make over his forlorn little garden house, and I will be forever grateful to him for that. but it was a distraction from stressful situations at a time in my life when I really needed it. It gave me space and time to think. And now, he lives in that bungalow and enjoys that garden. 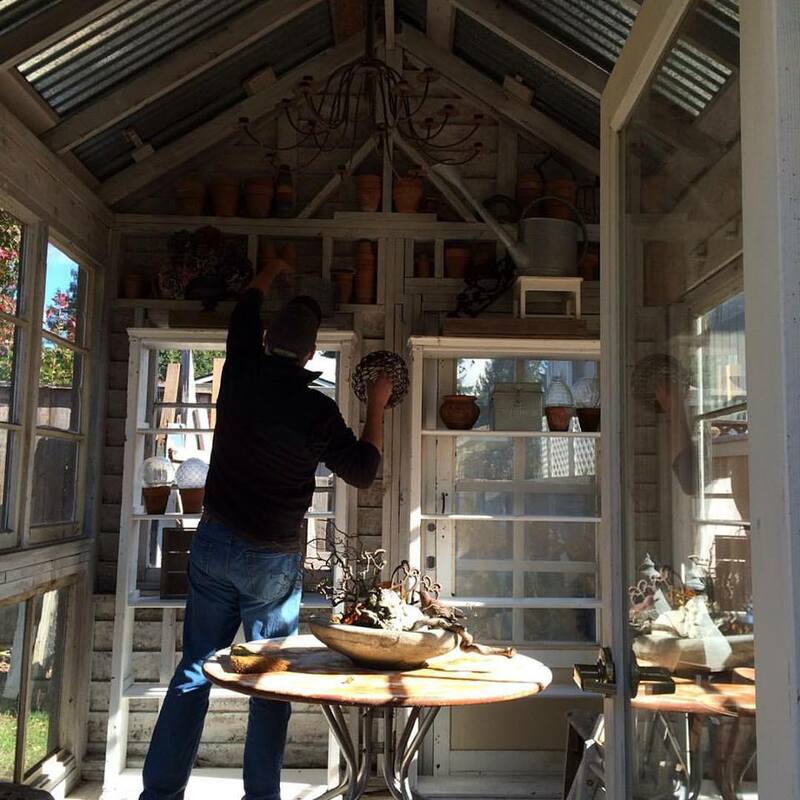 Seeing Todd out there decorating and loving that sweet little space just makes my heart happy. though I used them in the laundry area of the house, not where they are now. But I LOVE them in this location! and helped to turn it into a measure of joy by letting me create in this special space. It is a gift I will never forget.